In some Utopian Star Trek-like world where currency seems to have no meaning, we're pretty sure the app development market (if it's still around 400 years from now) will look quite different. But, phasers and teleporters aside, AppsAustin excels in today's market, and we know how to focus on your return on investment (or ROI). When you bring your mobile application idea to us, one of the first things we'll take into consideration is how likely you'll be able to monetize it. We've been around as long as the app market has been, and over time we've learned what makes an app more impressive to customers and more profitable. We'll brainstorm with you to develop features that will make your app stand out heads and shoulders above the rest. You'll also have several options where it comes to app pricing strategy. Your app can be completely free, free with advertising, free with the option to purchase advanced features, subscription-based, licensed, or white labeled (the industry term for services produced by one source, then re-branded to appear as a separate product). As you can see, there are many ways to monetize your app, and we'll help pin down the right one for you. Like, of course, and we've learned that customers will contribute to an app's success by what they see as its overall inherent value. As an example, an elaborate app with dozens of features will have more inherent value than a simple single-function one. We'll use our market know-how to price your app both to your satisfaction and that of your customers. Your financial bottom line is as important to us as it is to you when you partner with AppsAustin. 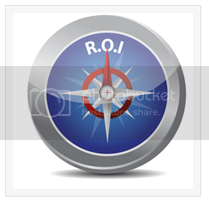 We'll not only give you the best-looking and best-functioning apps, we'll work to draw the ROI.